The Mustang Shelby made its official debut at the 2019 Detroit Motor Show, and could be the first product from India. Pune-based AJP Group is likely to launch the much-loved Shelby brand in India this year. The multi-brand company, which recently appointed Manas Dewan as its Chief Operating Officer (COO), said that the iy has partnered with performance auto brands like Scomadi Scooters and Shelby. And we have reasons to believe that the first car to come from the latter will be the new 2020 Shelby GT500. It was just early this year in January that the performance-oriented pony car made its official debut at the 2019 Detroit Motor Show, and it's possible that the car could come to India by the end of this year. 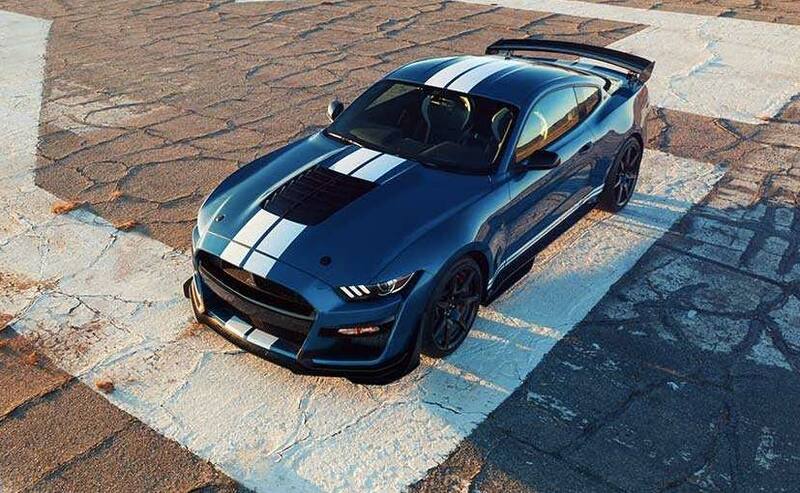 At the moment neither Dewan nor any other company spokesperson was available to provide us with an official confirmation about the Shelby's arrival. However, it's clear that AJP will serve as the technical partner for Shelby in India, handling modifications and upgrades. Although based on the regular Mustang, this particular GT500 tuned by Shelby is the most powerful Ford car. The Shelby GT500 is powered by a hand-built supercharged 5.2-litre aluminium alloy engine with inverted a 2.65-litre roots-type supercharger and air-to-liquid intercooler tucked neatly in the V8 engine valley and is tuned to churn out around 700 bhp. The Shelby GT500 gets a 7-speed dual-clutch transmission, which can shift smoothly in less than 100 milliseconds. This dual-clutch transmission is designed for a number of drive modes, including normal, slippery, sport, drag and track, and features line-lock and rpm-selectable launch control through selectable Track Apps. 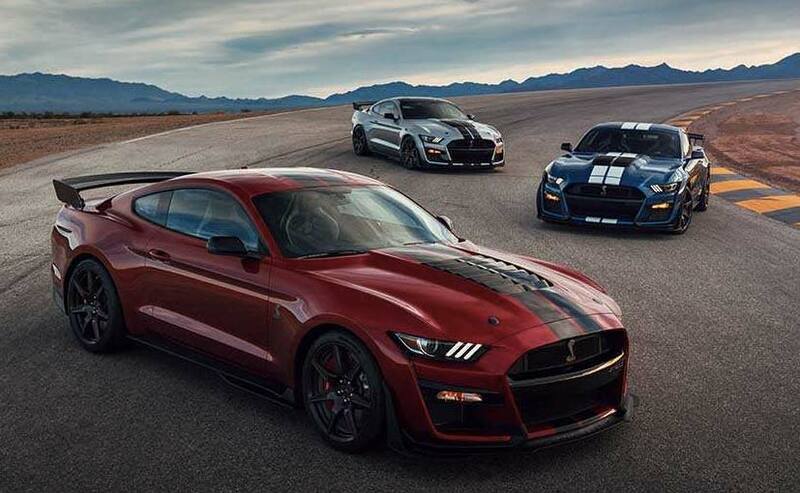 Visually, the car carries the signature Shelby character merged with the Ford Mustang's design, like the large grille with the Cobra at the centre, sporty front bumper with a lip spoiler, 20-inch carbon fibre wheels. The car also comes with 0.5-inch-wider rear wheels (11.5-inch), custom Michelin Pilot Sport Cup 2 tyres, adjustable exposed carbon fibre GT4 track wing and splitter wickers with integrated dive plane. Then we also have the signature twin racing strips running from front to back. The car also gets a race car-inspired cabin with premium materials and unique finishes with fibre instrument panel applique and new door panel inserts in Dark Slate Miko suede with accent stitching. The dashboard features an 8-inch SYNC 3 touch screen featuring SiriusXM and FordPass Connect, along with a 12-inch full-colour LCD instrument cluster as well. The car also gets a high-performance custom-tuned 12-speaker B&O play premium audio system.